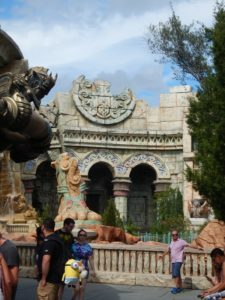 Are you planning a family vacation to Universal Studios in Orlando this summer? There are lots of opportunities around the park to sneak in some homeschooling with all the fun you’ll be having!! 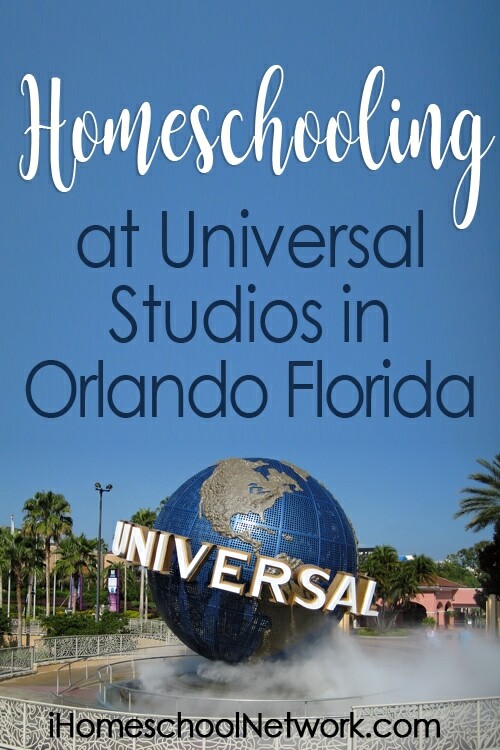 Take a look at these fun ways to homeschool while you’re there! This is the most obvious, and if you’re Harry Potter fans it’s a great real life experience of what you’ve read in the books! Throughout the Harry Potter world there are shops from the books, items that are mentioned throughout the series, and even characters! 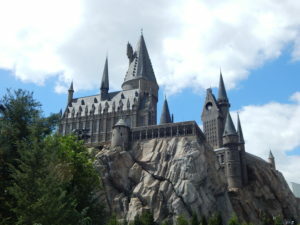 If you’re looking to get your kids reading before your vacation a visit to Harry Potter world is a great way to do it! While you’re there you could make a scavenger hunt for places or things, try and remember what book things are from, and compare the movies, books and real life experience! If you’ve got a budding paleontologist in your house you’ll want to check out the Jurassic Park section of Universal! This is a great place to see replicas of your favorite dinos, and visit the Jurassic Park visitors center. With fossils, dinosaur eggs, and baby velociraptors it’s a great place to talk about dinosaurs, explore and learn more about them! It may a little frightening to hand over you navigation to one of your kids but finding your way around Universal is a great way to practice map skills! Have them look for landmarks to get you from one attraction to the next. Find road names within the park, and locate things like bathrooms, and restaurants! The park is huge so there is a lot to see and find your way around it’s a great time to learn how! 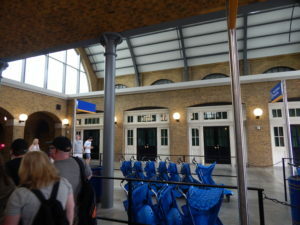 One of the coolest things about riding the Hogwart’s Express is visiting King’s Cross Station. You feel like you’re actually in London! If your kids are learning about travel this is a great opportunity to check out a train station! Complete with travel posters, a snack stand, and platform numbers, it’s a wonderful way to learn more about traveling by train! If you’ve studied ancient history in your homeschool you don’t want to miss the Poseidon’s Fury show! This fun show takes you through an ancient temple and far beneath the ocean. Of course it is a dramatic production full of special effects but it’s a great way to bring your Ancient Greece studies to life! It also opens up a great conversation about Greek gods and may spark some interest in studying more! Want to see potential and kinetic energy in action? Take a look at a roller coaster! If you’ve got kids in high school who are studying physics, or have an interest in engineering then a close up look at roller coasters is a great way to bring that to life. For younger kids they are a great lesson in energy, speed, and gravity! You can prepare ahead of time by reading, teaching, and exploring all of these areas. When you’re at the park your kids can see their lessons in action! You can also create lessons for after your visit! If you’ve ridden The Hulk roller coaster why not figure out the physics behind it? Maybe you want to separate the Jurassic Park fact from fiction? You can use the time before, during and after your trip to Universal Studios as an awesome educational experience that is super fun!! Krista is a homeschooling mom of 3 boys and the blogger behind Far From Normal. 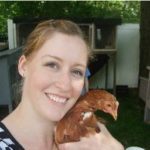 Her blog focuses on family, food, fun, and a life lived happily outside the box!